In his book, Born, Not Made; The Entrepreneurial Personality (2008), James Koch suggests that some people may be born with an entrepreneurial gene. However, what if that entrepreneurial gene becomes dormant, or at a minimum stigmatized by society? What happens when imaginative, creative, and entrepreneurial children grow up and learn to stop dreaming? If the gene is indeed dormant, perhaps the entrepreneurial desire simply needs to be re-ignited through entrepreneurship education. Still, many reject the notion of an entrepreneurial gene altogether. Peter Drucker, one of the leading management thinkers of our time, recognized that: “The entrepreneurial mystique? It is not magic, it is not mysterious, and it has nothing to do with the genes. It’s a discipline, and like any discipline, it can be learned” (Drucker, 1985). Most entrepreneurship educators would concur with Drucker, and in fact have seen that entrepreneurship can indeed be taught. However, being able to teach individuals about something doesn’t mean they will become proficient in the practice of what they have been taught. Learning about entrepreneurship does not qualify a person to practice entrepreneurship; it simply allows a person to increase their entrepreneurial literacy. Whether you think entrepreneurship can be taught, or whether people are born entrepreneurs and simply need to reconnect with their entrepreneurial spirit, a more important question is: What is the best way to teach entrepreneurship? (Ronstadt, 1987). Institutional culture is critical to developing an entrepreneurship program. Laura Palmer-Noone (2000) summarized the core problem facing many institutions of higher learning when she wrote, “Inertia is a villain in the marketplace but is worshiped in higher education because we relish tradition” (Palmer-Noone, 2000). Many colleges claim they promote innovation, but their culture says otherwise. The slow-moving nature of many college cultures can work well with certain disciplines, but entrepreneurship is not one of them. Institutions that wish to develop robust and dynamic entrepreneurial programs need to overcome internal inertia (Palmer-Noone, (2000). Entrepreneurship programs developed in non-innovative colleges tend to get bogged down in a status quo of slow, stop, and wait. In these institutions, because there is such a lag time to launch, by the time the program interacts with students, it is already obsolete. Additionally, developers tend to become worn down and cease to develop (Palmer-Noone, 2000). At the core of inertia, one will often find an organizational culture that is fearful of failure. Entrepreneurs know that a fear of failure can only accomplish one of two things: either stop you from starting, or stop you from stopping. Both are bad. On the other hand, the concept of loss aversion (Kahneman & Tversky, 1979), informs us that if you are brave enough to try and take action on something, and it does not work out, it is better to keep working on a failed project than admit that you have failed to avoid facing the perceived shame that comes along with failure (Kahneman & Tversky, 1979). Entrepreneurship is a way of thinking or embracing certain conventions that promote action. These actions are designed to promote learning and solution searching, coupled with innovations that can add value. This action-oriented mindset is accompanied by a series of intangible skills such as having an internal locus of control, a growth mindset, strong sense of self-efficacy, perseverance, adaptability, ability to think big, creativity, resourcefulness, and an ability to understand and cope with failure in a different light. 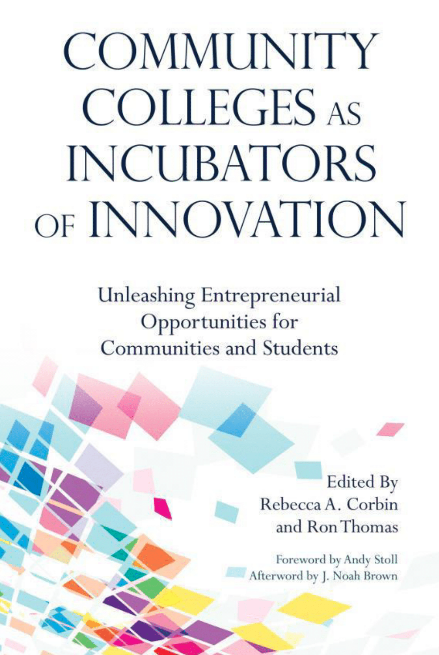 Colleges that embrace an entrepreneurial culture are positioned to lead in education innovation. Andy Gold is an assistant professor of Entrepreneurship and Business Administration at Hillsborough Community College (HCC) in Tampa, Florida, and an adjunct faculty member at the University of Tampa and the University of South Florida, where he teaches in the M.B.A. program. Gold has over 25 years of experience as an entrepreneur, starting several businesses over that period with a focus on social entrepreneurship. Mary Beth Kerly is a professor of Business and Entrepreneurship at Hillsborough Community College in Tampa. She has over 18 years of community college experience. 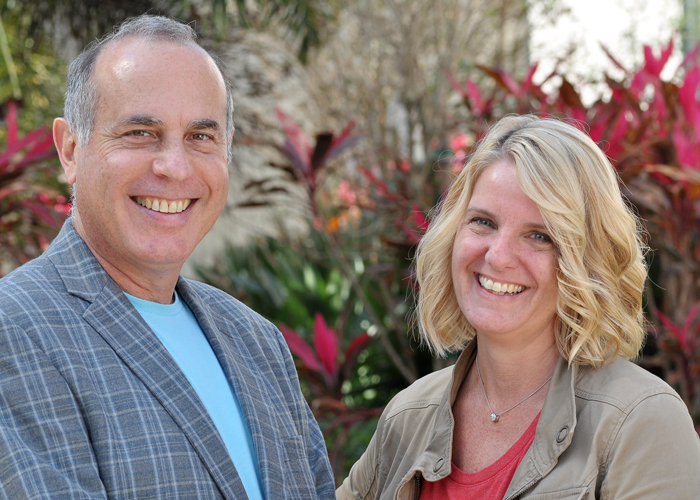 Kerly also serves as an adjunct professor for management and strategy at the University of Tampa.